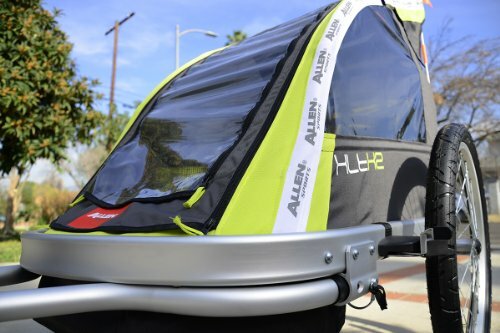 The Allen XLT-X2 Aluminum 2-Child Jogger and Bike Trailer offers the perfect 2 in 1 product for the active parent. 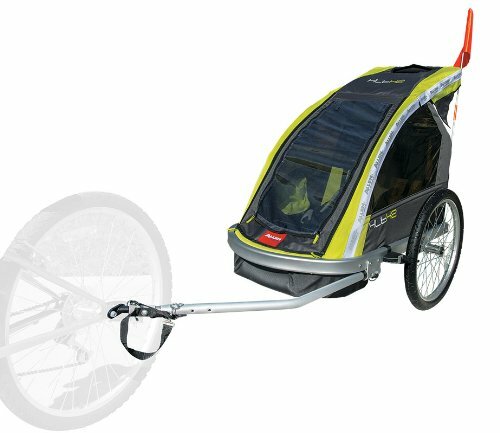 The item quickly sets up as either a fully functional fixed wheel jogger or bike trailer right out of the box. 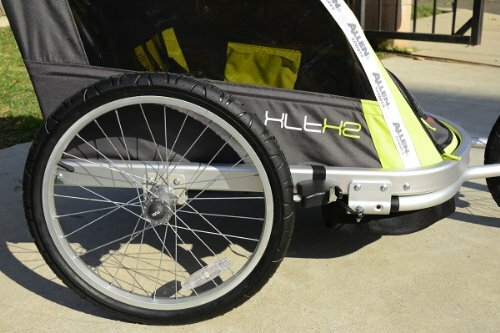 20" rear wheels and 16" front wheel (for jogger mode) deliver low rolling resistance and large front and side windows let your passenger enjoy the ride. 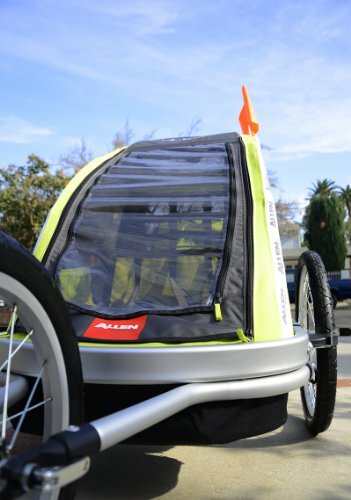 An extra large interior compartment delivers lots of room for your little riders. 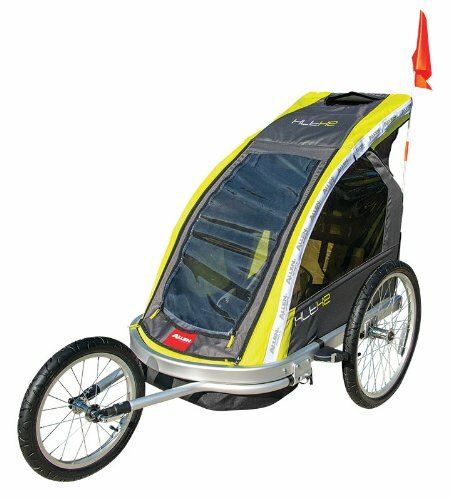 The XLT-X2 jogger/trailer includes a recessed foot area your children's feet and also comes with a removable three season bug and rain shield. Zippered panels on the Bug and Rain shield make for easy opening and closing. 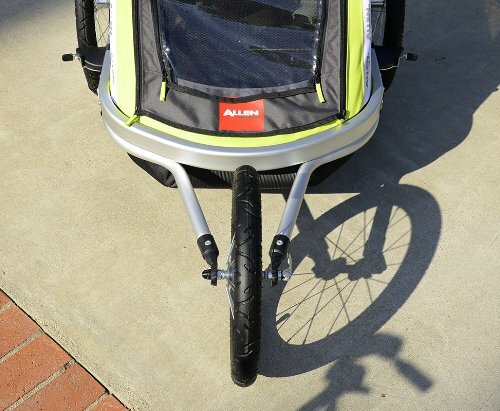 When not in use, the XLT-X2's folding design and quick release wheels offer easy storage and transportation. 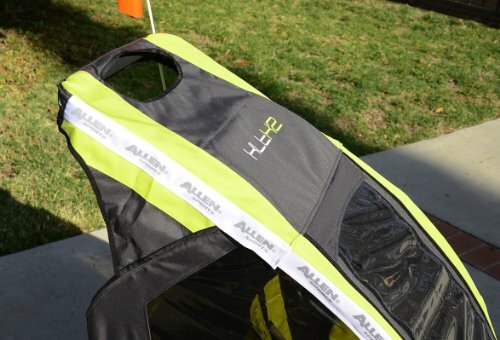 Allen Sports has manufactured top quality products for the outdoor industry since 1965. 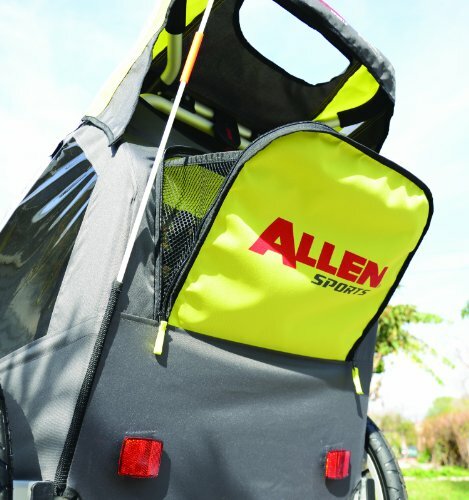 Still family owned, all of our items are backed by our lifetime warranty (please visit www.allensportsusa.com for complete details).